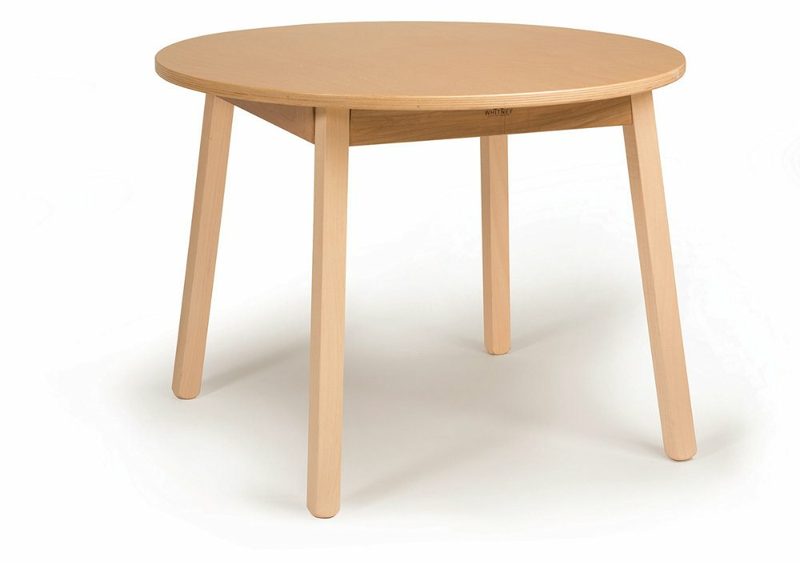 Round children's table, constructed of sturdy Birch laminate top and strong Maple legs. 28" diameter x 21" high. Ships RTA by UPS for Fed Ex Ground. Easy to assemble. Made in the USA. Greenguard Certified. Dimensions: 28in. × 28in. × 21in.